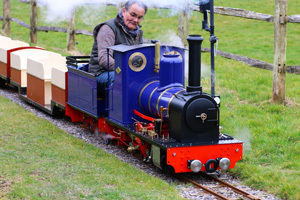 Bentley Miniature Railway is a 1 mile 7 ¼ inch ground level public passenger carrying miniature railway in the grounds of Bentley located between Uckfield and Lewes accessible from both the A22 and A26. Bentley is an ideal day out for all the family. The railway is operated entirely by volunteers and funded by passenger fares.